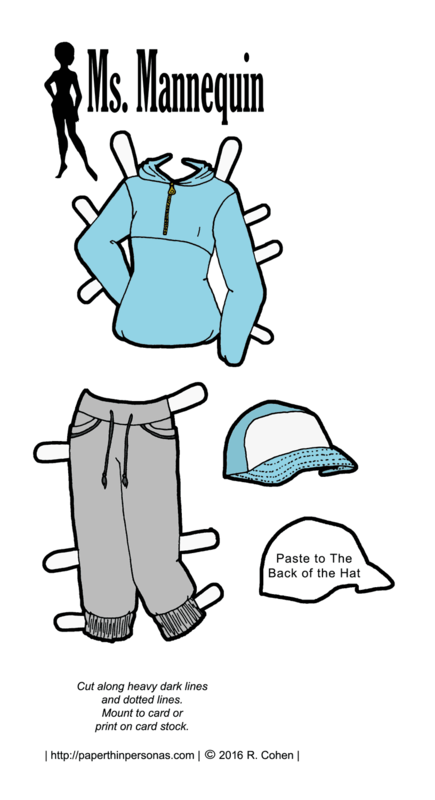 Ending the week with my favorite of all outfits for Zola, my hip-hop fashion paper doll. I know that I shouldn’t have favorite outfits, but I totally do and this is it. I love the top and I love the skirt. Both are based off River Island pieces from Rihanna’s capsule collection for that brand, but, here’s the embarrassing bit, I drew them so long ago that it doesn’t look like the website it still caring them. You’re just going to have to believe me when I tell you this is the case. Anyway, I do think this outfit is the most formal of the all the outfits I designed for Zola, the paper doll from Monday. Of course, any of the Ms Mannequins can wear it. I think Kira and Shayna would look particularly good in the neon green skirt thanks to their darker skin tones. Thoughts on that one? I did want to take a moment and talk about something that is dear to my librarian heart: Research. More formally, how do you research something like Hip-Hop fashion? Let me be clear, I am an outsider to all this. Hip-hop was born out of the African-American experience in urban environments. I am from the rural state of Alaska and I am not African-American. So, yeah… not exactly my area of experience at all. So, whenever I am trying to learn about something where I am an outsider, I go in with the goal of learning, not judging. And I go in knowing that I don’t know very much and I might be wrong. Actually, those two goals are pretty good ways to approach life generally, I think. And this last week has been the result of my efforts. So, I actually have a few more hip-hop paper doll pieces from when I started this project (that was back in December, I am ashamed to admit). Some of them may yet find their way onto the blog. I haven’t decided, but I did want to share this unique style to the best of my ability. If you didn’t know, the blog has a pretty rocking Twitter feed. It’s also one of the best ways to ask me questions, because I answer way more often on Twitter. Also, if you love the blog, then consider becoming a patron, every dollar really helps and once I am done with my move, than I am planning some cool Patron only content. So, as this was a rather experimental week, what did people think? 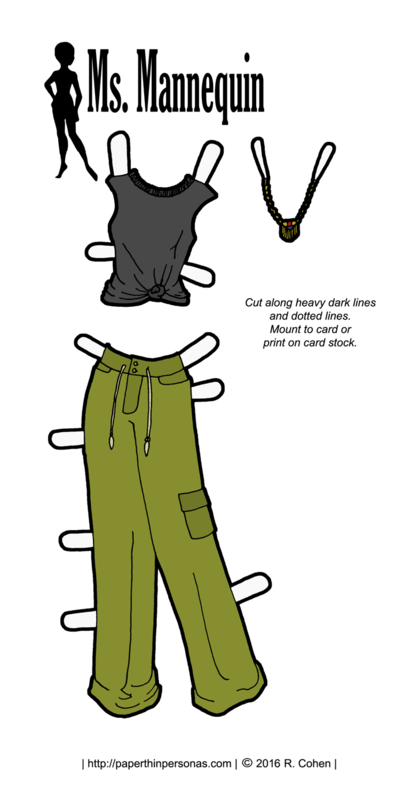 Did you all enjoy this little foray into a hip-hop fashion paper doll? I’d love to know in a comment. 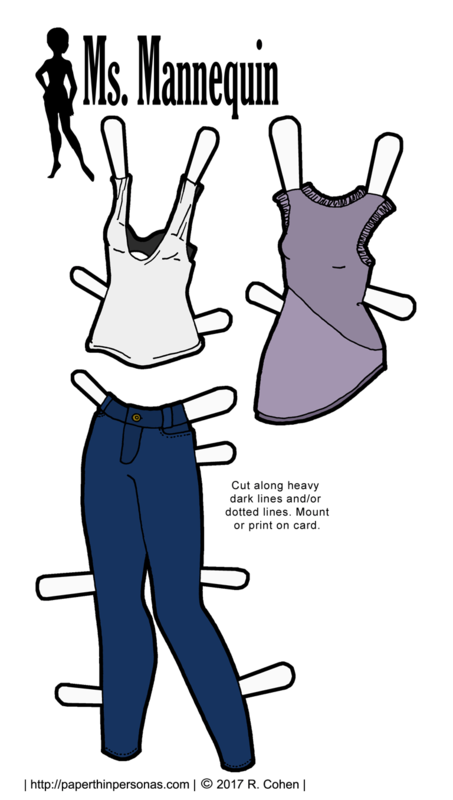 Next week is going to be a Marisole Monday & Friends paper doll week with Marisole and some fun summer fashions. After that… well, I haven’t really gotten that sorted yet. 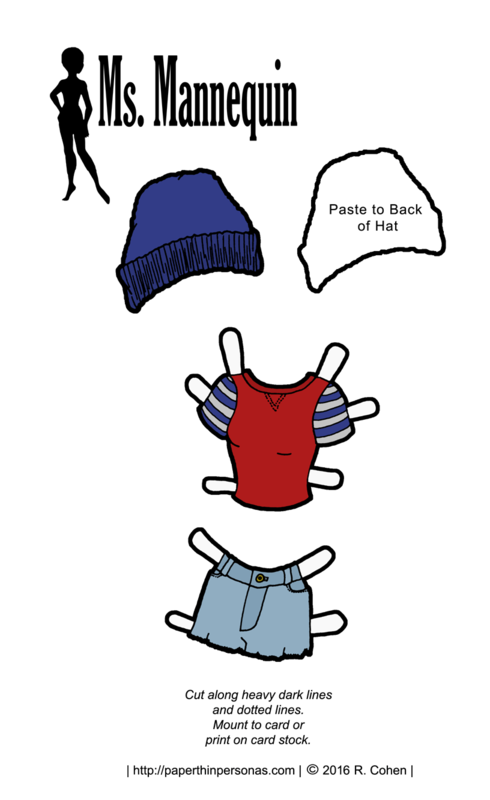 Like Jaunty Summer Styles and Minimalism, today’s printable paper doll was the direct result of me purchasing a bunch of fashion magazines in March. Adannaya is rocking the “sporty” look which is very popular. Sort of high fashion meets gym wear and if that seems like an odd match to you then you are not alone (it seems an odd match to me too). Her hair is based on this fantastic updo which I pinned to my hair board on Pinterest. Lurking around my Pinterest boards provides sneak peaks on what I am currently obsessed with. Feel free to follow me. Anyway, the name Adannaya is from West Africa, Igbo to be specific, and means “Her Father’s daughter” according to Behind the Name. I’m sure I’ve never used the name before. I liked that I could track it to a specific culture. I think calling a name “African” is just as absurd as calling a name “European”. There are about a hundred major African languages, so I wasn’t going to use a name if I couldn’t trace it back to the root language. For Adannaya the root language is is Igbo, mostly spoken in southeastern Nigeria. Someone who knows more than me about the region would know if it was a common name or not, I have no idea, but I liked how it sounded.